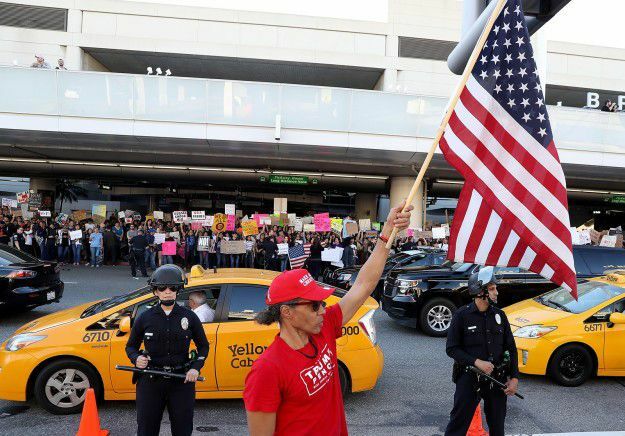 A supporter of President Donald Trump waves a US flag during a demonstration at Los Angeles International Airport on Jan. 29. Close to 2000 people responded to our Spanish and English surveys. While obviously we can’t include them all, here are some that represent the diverse range of perspectives Latino and Hispanic readers shared with us.